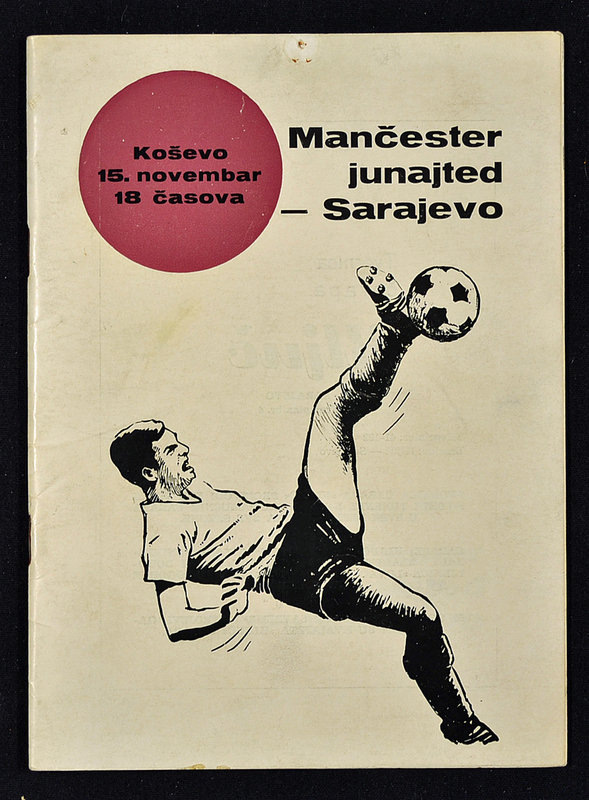 Scarce 1967/68 European Cup Football Programme Sarajevo v Manchester United 2nd round, 1st leg Football Programme dated 15 November 1967, 44 page edition. Worth a view to assess. NB: Extremely rare, believed less than 10 were produced for the VIP’s only, programme not available to the general public and originally it was taken that such a programme did not exist until one was purchased by a collector.